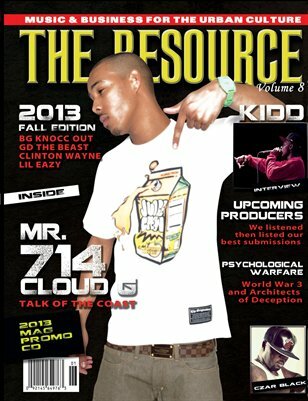 Featuring Talk of the West, Cloud G Mr. 714, This issue is packed with many featuring artists. KiDD Tha Chicagoan, Czar Black, Clinton Wayne GD Tha Beast and many more. Free COmpilation is also available for direct streaming with this copy of The Resource just go to the back page.